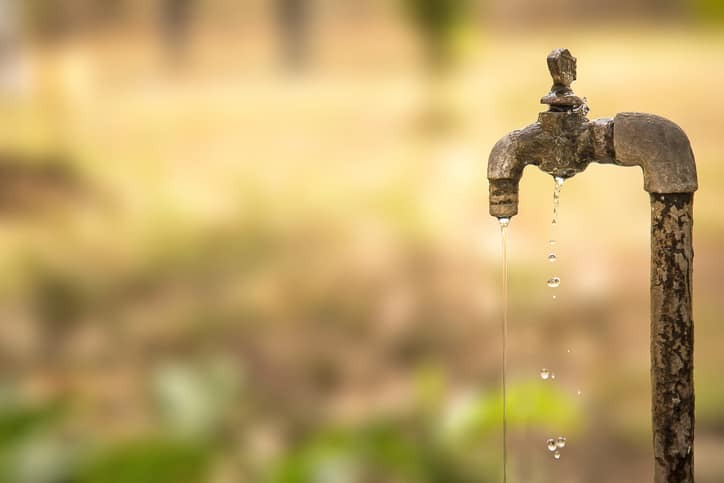 Water contamination is something often associated with deadly illnesses in developing countries, but various forms of tainted water are running through rivers, settling in watersheds, and pouring through taps in the United States. News stories of communities experiencing polluted water are becoming more frequent, which is certainly cause for concern. Water pollution is often tied to industrial waste or toxic lead pipes, but few people know that they may be drinking asbestos in their tap water every day. Asbestos fibers have been detected in water supplies for decades, despite little public knowledge. The fibrous mineral was a common additive in construction supplies and manufactured goods around the world through the mid-20th Century. After discovering its carcinogenic properties, the United States and other countries began regulating the mineral’s use. Today, asbestos has been banned in nearly 60 countries, not including the U.S. However, even with regulation and restriction, asbestos fibers can linger in the surrounding environment for many years. There are two main ways asbestos enters our water supplies. The most notable is the deterioration of asbestos-cement pipes, which make up between 12-15 percent of drinking water systems in the United States and can be found all over Europe, Japan, and Australia. Over time, damage to these pipes erodes the cement, allowing asbestos fibers to seep into the water. Many of these municipal water distribution systems were built in the early-to-mid 1900s, with an average recommended lifetime of 70 years. Since these pipelines are used long past their peaks and subject to harsh water and soil conditions, they are more prone to breakage, adding to the level of contamination. This will only worsen over time, posing a threat to public health. While pipeline pollution is mainly an issue of failing infrastructure, asbestos often enters drinking water from natural sources as well. As a naturally-occurring mineral, asbestos is organically sourced from bedrock. Small quantities may enter bodies of water from soil and rock erosion, but the root of asbestos pollution in watersheds is often loose fibers spreading into the environment from nearby construction sites or landfills. Disposing of older asbestos products in the environment can create toxic runoff that eventually flows into watersheds. Microscopic asbestos particles can also easily enter the air, settling on the surface of lakes, rivers, and other bodies of water. Since these fibers do not dissolve or degrade, they can continue to spread throughout communities. Like many of the toxins we encounter, asbestos is heavily studied and regulated. In the United States, less than one percent of asbestos is allowed in manufactured products. However, this does not always account for products imported from countries where the mineral’s use is still fairly popular, including China and Russia. The Environmental Protection Agency (EPA) has formed restrictive legislation addressing its toxicity, including asbestos-water contamination. Under the Safe Drinking Water Act of 1974, the EPA targeted substances found in water, including asbestos and 90 other contaminants. This set a maximum contaminant level for asbestos at 7 million fibers per liter. While this is rarely exceeded, decaying pipelines and natural disasters often spike the degree of pollution. Water providers are required by the EPA to notify customers within 30 days of contamination detection. The National Primary Drinking Water Regulations outline the various forms of water pollution and their impact on public health. 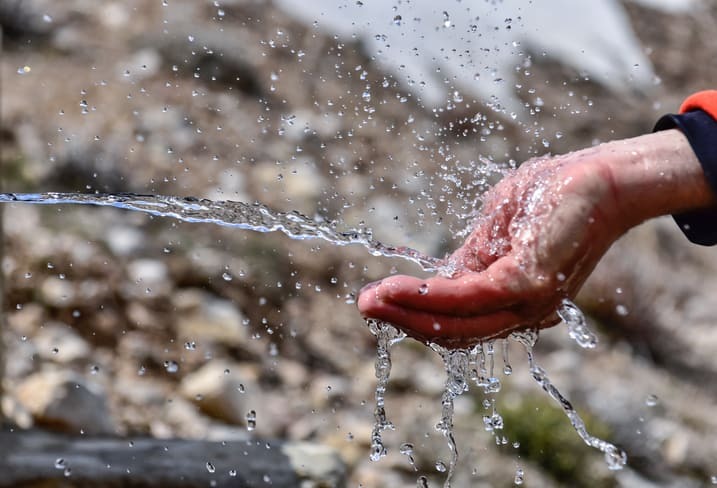 Asbestos-tainted water has been connected with several health risks, including benign intestinal polyps and gastrointestinal cancers like peritoneal mesothelioma. The controversy of asbestos in drinking water lies in whether or not consumption leads to cancer and the financial cost of replacing asbestos-laden infrastructure. It’s difficult to draw conclusions about the full impact of drinking asbestos, as most studies conducted on the matter do not measure developing conditions over long periods of time. 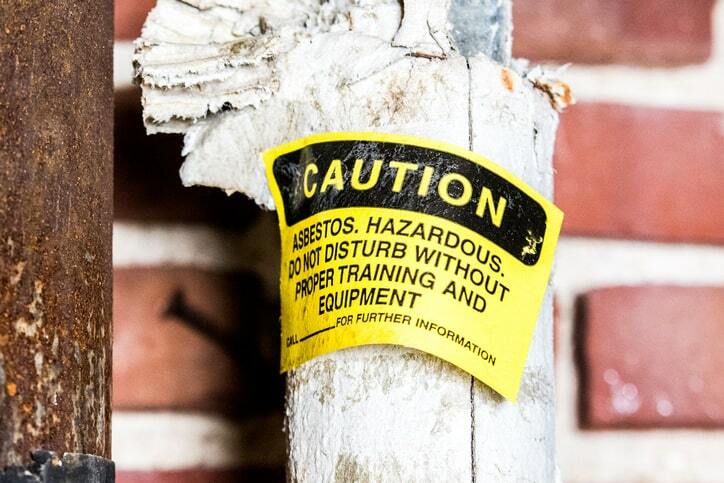 The nature of asbestos-related diseases lie in their extended latency periods, with airborne exposure impacting individuals up to 50 years afterwards. It is estimated that low-grade exposure within drinking water or the environment leads to slower development of diseases compared to traditional occupational methods. Studies like that of Woodstock, NY only measured cancer incidence over two decades; not quite enough time for all possible asbestos diseases to develop. In contrast, a study of Norwegian lighthouse keepers exposed to asbestos in their drinking water saw a direct tie to elevated cases of stomach cancer from 1960-2002. As contamination levels rise because of aging water pipes, we may see a stronger tie to various forms of cancer over time. For many nations, replacing every asbestos-cement pipeline could mean billions of dollars in infrastructure expenses. In an industry that often lacks the necessary funds for system repair and water maintenance, pipe upgrades and removal could prove to be a huge financial setback. In the U.S., state and local governments are mainly responsible for managing water utilities, with some assistance from the federal government through state revolving fund awards. Taking a proactive approach in eliminating asbestos in water supplies can help prevent further exposure and the possible life-threatening conditions that follow. Despite strict regulation by the EPA, the water crisis in Flint, MI, is a prime example of how improper treatment of water and corroding infrastructure can be detrimental to community health. The most direct solution would be to push for sustainable infrastructure upgrades and sufficient funding for water treatment and maintenance. While this will likely take time and additional resources, prioritizing water quality can keep our communities safe and eco-friendly for future generations. Emily Walsh spreads awareness about the dangers of asbestos exposure and its impact through community outreach and engagement. She dedicates much of her time to educating about mesothelioma cancer through social media and blogging, while partnering with like-minded organizations to spread the word. Her goal is to one day see a global ban on asbestos. Asbestos is a hazardous material on earth. Proper treatment should be taken for those who are taken those who are infected.